for your gym or sports club. with a modern web based software. 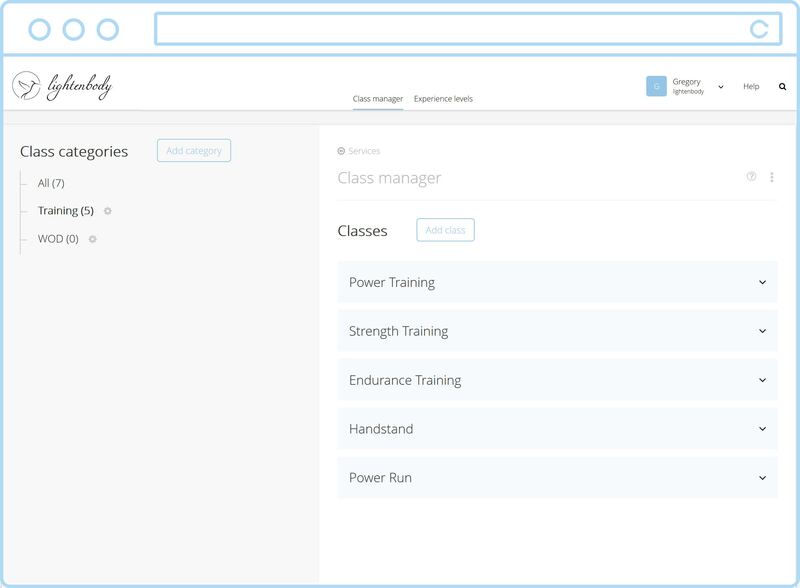 lightenbody™ will help you manage your gym. With lightenbody™ you will boost your business, no matter, big or small. Thanks to our online schedule, you will enable your clients to sign up for training activities at any time, because the software works for you, when you are resting. Free your time and mind. Advanced attendance sheet for your classes. Thanks to the advanced attendance list, you have an inside look into the detailed information of your class: you can easily check who signed up for the class, who has got birthday on this day or who is a new client. Using the intuitive interface, you can, with one click, mark your students as present, absent or cancel their visit. Compose your gym activities: categories, pricing options and schedule. This is your command center - here, you create the most important elements of your gym. You will easily create a category, add classes and define experience levels. Thanks to that, every client - no matter beginner or advanced - will be able to find something for himself. Next step will be setting uo the schedule and creating pricing options for your gym, so that your clients will be able to start signing up for classes right away, from any place, at any time. 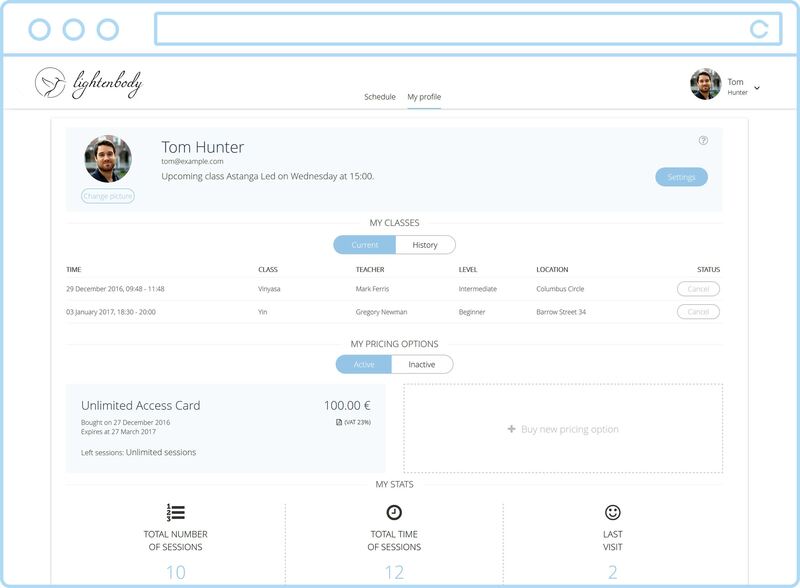 Personal user account for your client. 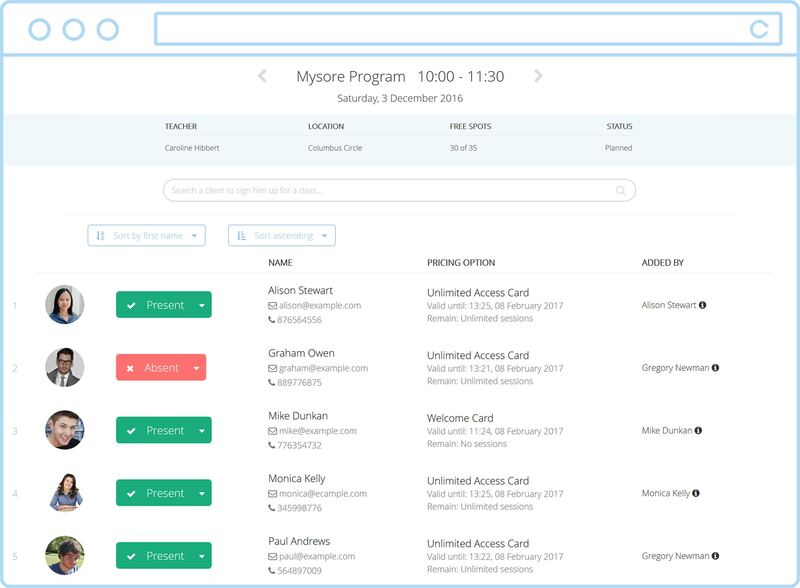 Each of your clients has a personal account in lightenbody™, it can be easily accessed using an email address and password. 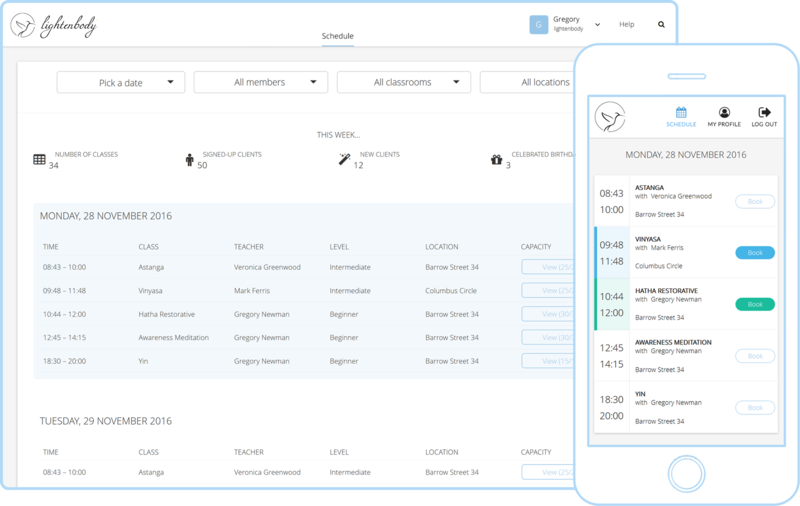 This gives them insight into the history of classes, payments and - the most important - allows them to fast and easy sign up for activities straight from your schedule. Staistics block allows your clients to track their progress, check how much time they have spent on training or when was their last visit in the gym. Wide spectrum of configuration possibilities. 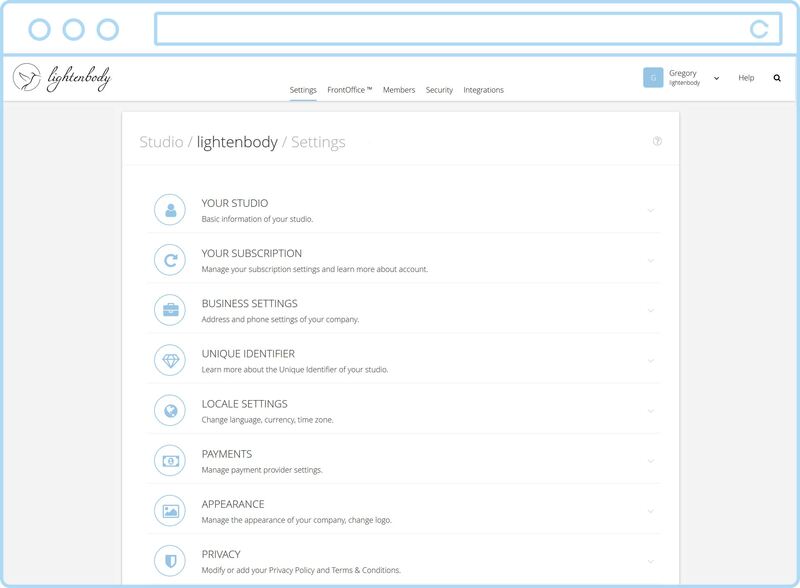 lightenbody™ offers a huge number of settings, thanks to which you will easily adjust the application to your individual needs. API connection, payroll, corporate identity of your studio, privacy of your customers - these are only some of them. Want to try them all? Don't hesitate and sign up today.